Union Jack Oil plc (LON: UJO), a UK focused on-shore hydrocarbon production, development and exploration company has today announced that it has been advised by the operator that the appeal against the refusal of planning consent for the development of the Wressle oil discovery by the North Lincolnshire Council’s Planning Committee on 28 November 2018 was submitted to the Planning Inspectorate on 1 February 2019. 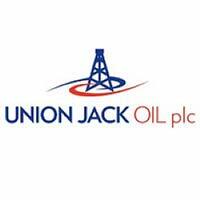 Union Jack holds a 27.5% interest in PEDLs 180/182 containing the Wressle oil discovery. On test the Wressle-1 well flowed a combined 710 barrels of oil equivalent oil and gas from three separate reservoirs, the Ashover Grit, the Wingfield Flags and the Penistone Flags. A Competent Person’s Report made independent estimates of Reserves and Contingent and Prospective oil and gas Resources for the Wressle discovery of 2.15 million stock tank barrels classified as discovered (2P+2C). On 24 January 2019 an earlier application to extend the planning permission consent for the Wressle site was approved by the Planning Inspector on appeal. “We are looking forward to a Planning Inspector considering the appeal for the development of the Wressle discovery. “We strongly believe, as does the operator, the enhanced proposals for the development of Wressle address, comprehensively, the reasons highlighted by the Planning Inspector in his dismissal of the initial appeals in January 2018.